Auto-on when people moving, auto-off after 15 seconds. * 3 functions: on /off / Auto. * For safety: You can have a dim-light at night. 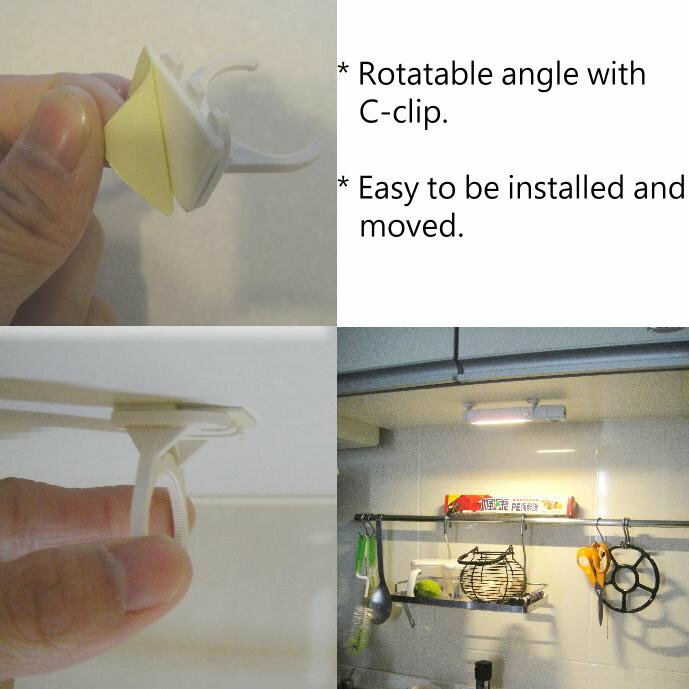 * Rotatable angle with C-clip: Turn light to the direction you want. * Built-in 300mAH polymer lithium battery with recharging indicator light. * Mini, no radiation and power saving. * Easy to be installed and moved. 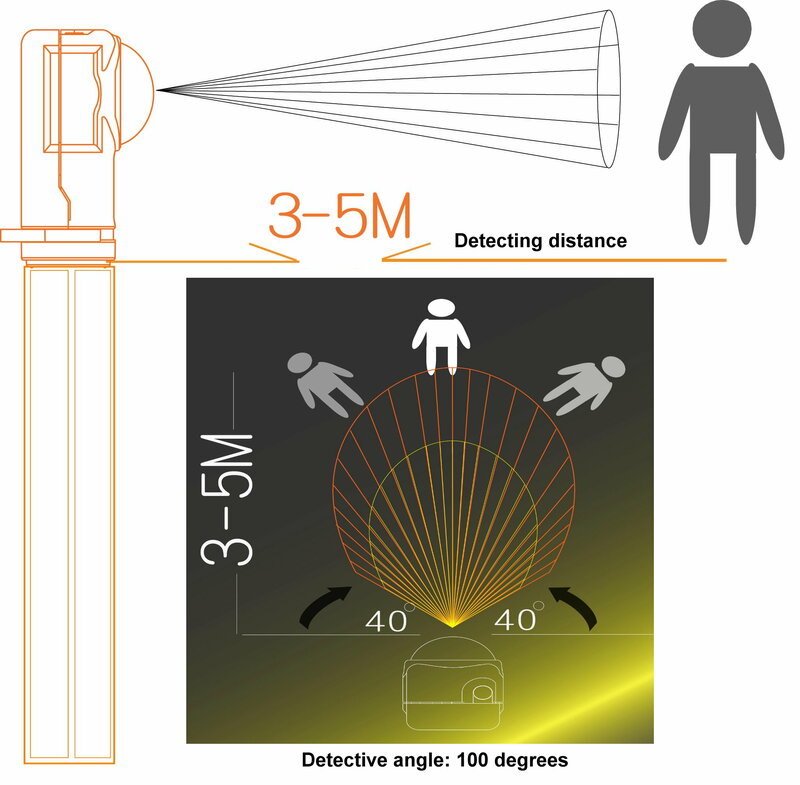 * detective angle: 100 degrees. * color of body: white. * 300mAH polymer lithium battery built-in. * Smart motion sensing LED light that you can mount anywhere you need a hands free light. * Super energy saving! Easy to use, no cable required. * High bright and high efficiency white LED Light. Low power consumption, long operating life, energy saving. * This item works great for hallways, closets, bedroom, Kitchen, Garages stairway, cabinet, closet, wardrobe, corridor, workshop, basement, depots, door, garage entrances and other places and more. 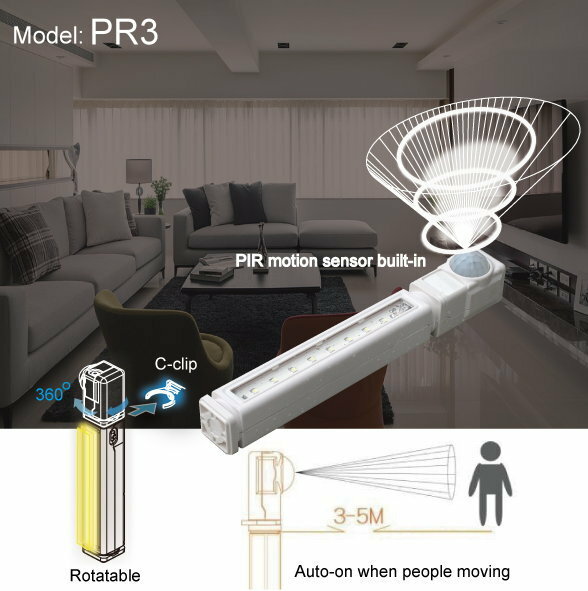 * Smart automatic sensing: In dark situation, the light will light up when you get close within 3 ~ 5 meters and will light of 10 seconds after your walk out of its sensing rang. In bright situation, even if you are in sensing area the light will not light up. 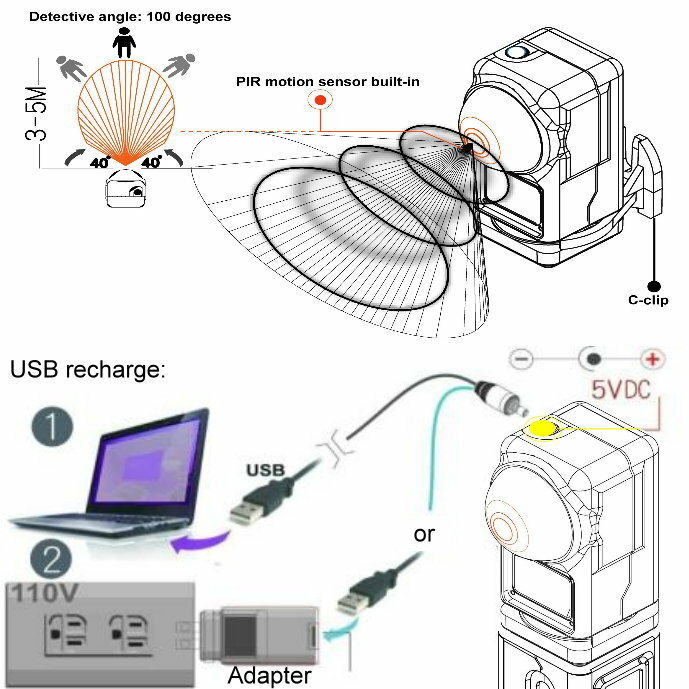 The sensitive angle is 100 degrees, it’s more sensitive than other LED light bar. 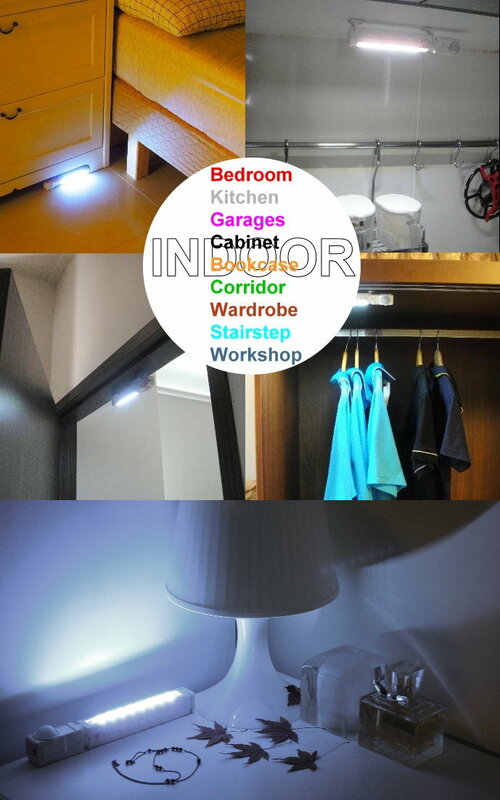 Closet light is easy to install and use. * Non-waterproof, do not use it in any heavy humidity or low temp location.